This blog is maintained by the staff of the North Carolina Digital Heritage Center and features highlights from the collections at DigitalNC, an online library of primary sources from institutions across North Carolina. 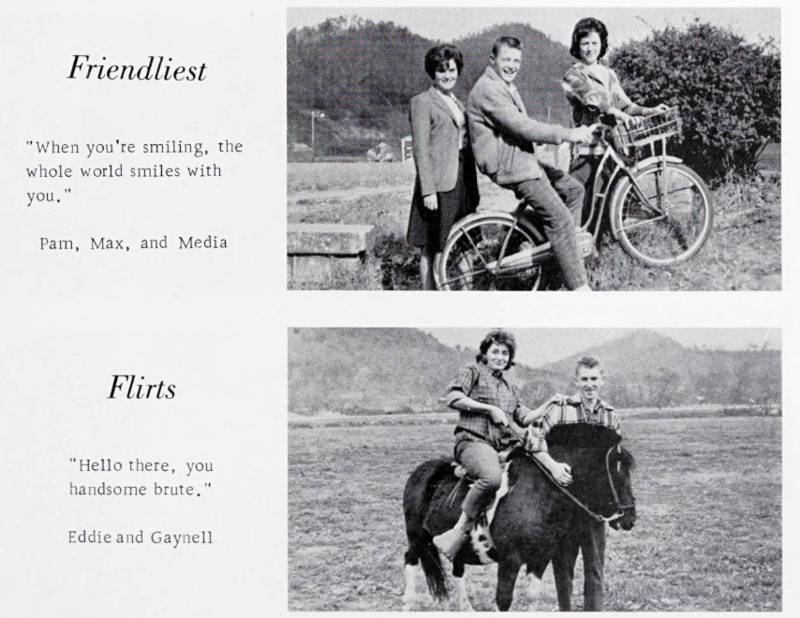 Senior superlatives from the 1964 The Robin yearbook. Graham County Public Library, one of our westernmost partners, has contributed our first Graham County yearbooks to DigitalNC. There are now 11 yearbooks from Robbinsville High School (1950-1967) available online. In addition they provided two from Tri-County Community College (1979-1982) in Murphy, NC (Cherokee County). We were delighted to visit the Graham County Public Library back in June 2018, when we scanned photographs from their collection. In addition to these yearbooks, you can take a look at our list of available high school yearbooks, organized by county.